SKU: 703447031902 Categories: Protein Food, Cereal Tags: Best Sellers, Ready to Enjoy! Chocolate cereal for breakfast while you’re losing weight? Of course, with Bari Life Cocoa Cereal Protein Cereal! It’s pre-portioned for an instant high-protein breakfast at home or on the go. It also makes a great anytime snack with only 120 calories and 7 grams net carbs. It has 15 grams of protein, but you can add extra by mixing it with milk or yogurt. 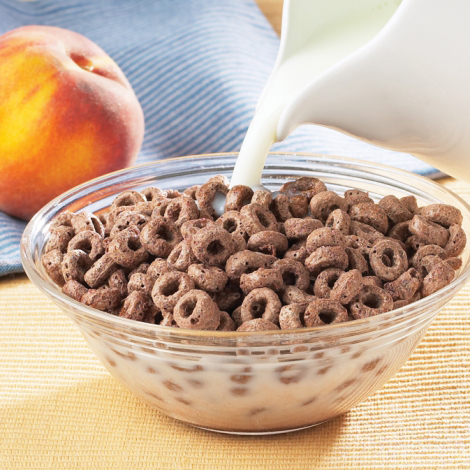 Bari Life Cocoa Protein Cereal is a light chocolate flavored breakfast cereal that you should use to replace any other cereals you are eating because you might as well eat the delicious option that is also packed with protein! Your body and taste buds will thank you for this high protein, low carb, low fat breakfast with 15 grams of high quality soy protein. This is an excellent choice for people who are trying to lose weight or maintain weight loss. The individual serving packs make it easy to grab and go on a busy day. Soy Protein Isolate, Soy Flour, Soy Concentrate, White Rice Flour, Sunflower Oil, Polydextrose, Cocoa Powder, Natural and Artificial Chocolate Flavor, Salt, Sucralose. Tastes Great! Not a drop of sugar, but still tastes great! What more could you want? My favorite breakfast cereal. Can’t start my day without it! Very good for breakfast or a snack. I love the chocolate flavor and the packet gives you just the right amount.